The radiofrequency is applied, selectively, in the deep dermis through the skin surface. It combats sagging by stimulating the fibroblasts and generating new collagen. The RF treatment, also known as non-surgical facelift, is a non-invasive (no surgery or anesthesia) treatment that gives excellent results in face and body. RF treatment is ideal for people who have a slight sagging in the skin of the face and neck, people who want to improve the look without having to resort to surgery. It has no side effect, it is not painful (only noticed some heat in the treated area) and requires no anesthesia. For optimum results a serie of 10 sessions has to be carried out. The first 3 sessions are conducted in a short period of time. 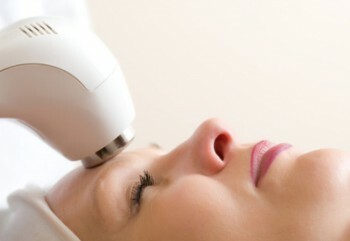 The result is a smoother skin and a clear reduction of wrinkles and sagging. The effect of tension is progressive from the first session and the results usually last about two years. Maintenance sessions are required to keep the lifting effect. Our face may be a victim of emotional, environmental and hormonal disorders. Facelift acupunture is a traditional Chinese therapythat cares not only our skin but also our health in general. This treatment is very well known in USA and it is used by many famous people who desired a natural lifting effect without using botulinum toxins. In Leiser we valuate each individual case to get the best results. It increases the production of collagen and elastin, fills wrinkles and smooths out lines. It improves muscle tone and blood microcirculation in the face. 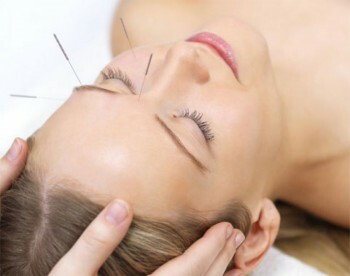 fine needles are placed in specific acupuncture points stimulating collagen production. The number of sessions is between 10 and 20, but depends on the objectives to be achieved in each case. The duration of each session is approximately one hour.